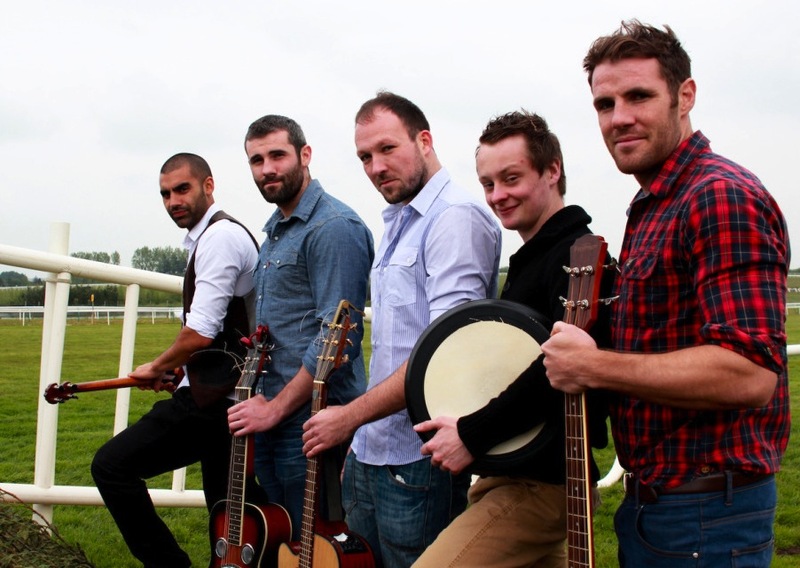 Prima Volta began as a 3-day music festival for Limerick City of Culture 2014. 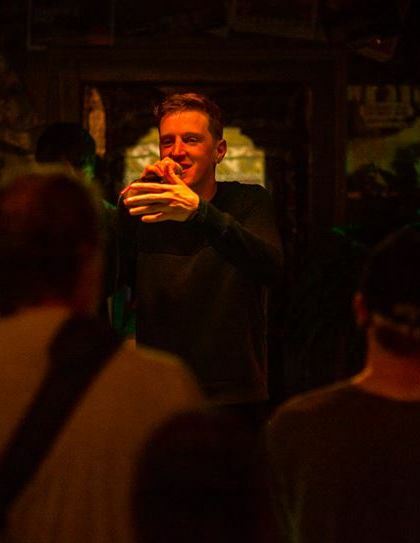 With a focus on left-field hip-hop and beat orientated music the weekender hosted an array of international and local artists featuring acts such as Kutmah, Fatima, Illum Sphere, and Limerick’s own Same D4ence. 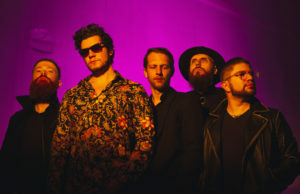 The project continues apace with a series of gigs aimed at giving a new platform to Irish artists and introducing some of the country’s finest talent to some fresh ears. 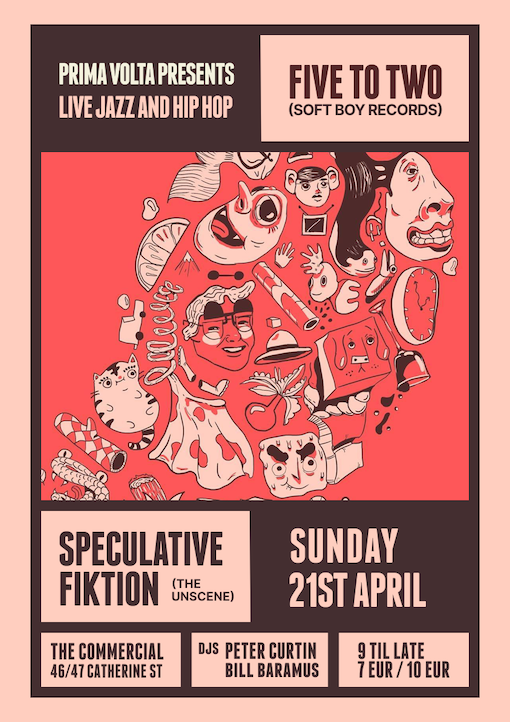 Following on from our successful return last September with Auxiliary Phoenix and GavinDaVinci we are proud to present a night of live hip-hop and jazz on Easter Sunday (April 21st) in the Record Room in Limerick city. Hip-hop grooves, classical sensibilities, and pure nostalgic jazz meet with infectious energy when Five to Two take to the stage. 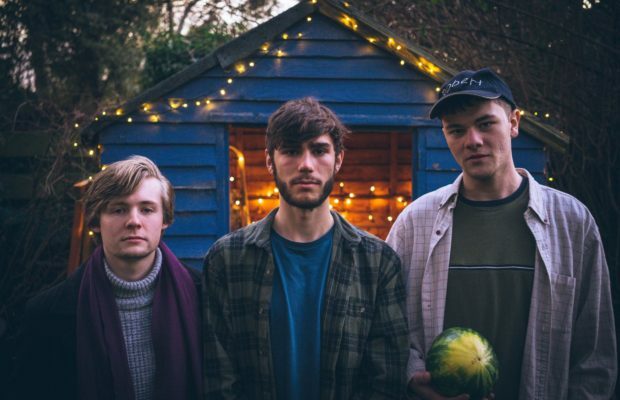 South-east Dublin boys Matthew Breen (piano), Jonah Byrne (double bass) and Finn Mac Anna (drums) joined Soft Boy Records prior to the release of their debut album in 2017. 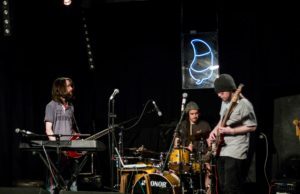 Since then, appearances at Bray International Jazz Festival, Red Bull Music’s Free Gaff and the Sugar Club, in addition to a studio session on RTÉ 2XM (courtesy of presenter Peter Curtin), have helped secure an increasing profile for Five to Two on the new music scene. Debut Album out now on all streaming platforms! Spek is a Cork-based rapper and beatmaker who has warmed up for heavyweights such as Danny Brown, Immortal Technique, Shabazz Palaces, Jehst, Lee Scott and Black Josh. 2018 saw the release of Spekulativ Fiktion’s award-winning ep Effigies (produced by Mankyy) as well as performances at Body&Soul, Indiependance, It Takes a Village, Vantastival, Townlands Carnival, Cork Midsummer Festival, Community Skratch Games and more. A new self-produced project drops in 2019 on Unscene Music.